David Shepherd Wildlife Foundation is a conservation charity raising funds to support key projects across Africa and Asia to help secure a future for endangered wildlife in their natural habitat. 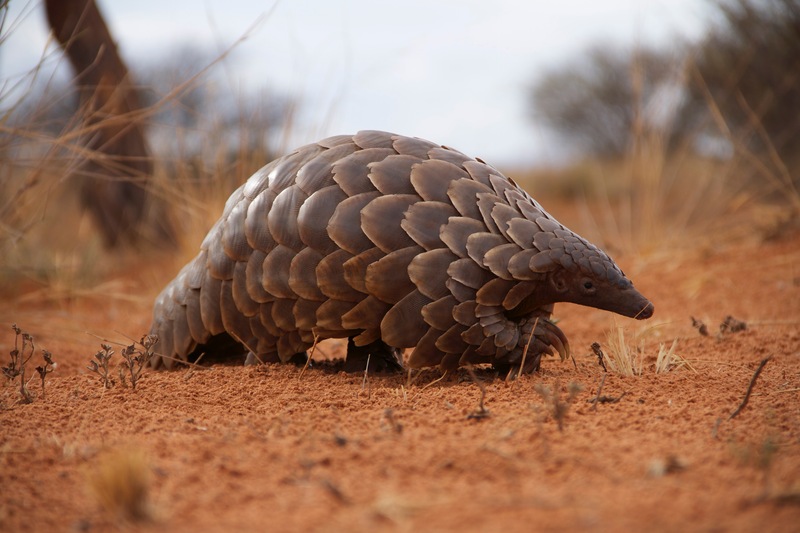 They engage with communities to educate and raise awareness to reduce threats to wildlife and campaign for stronger wildlife laws; influencing policy and shifting attitudes. Their primary focus of their support is large mammals. The endangered species being supported by DSWF projects include elephants, tigers, rhinos, snow leopards, African painted dogs and pangolins. 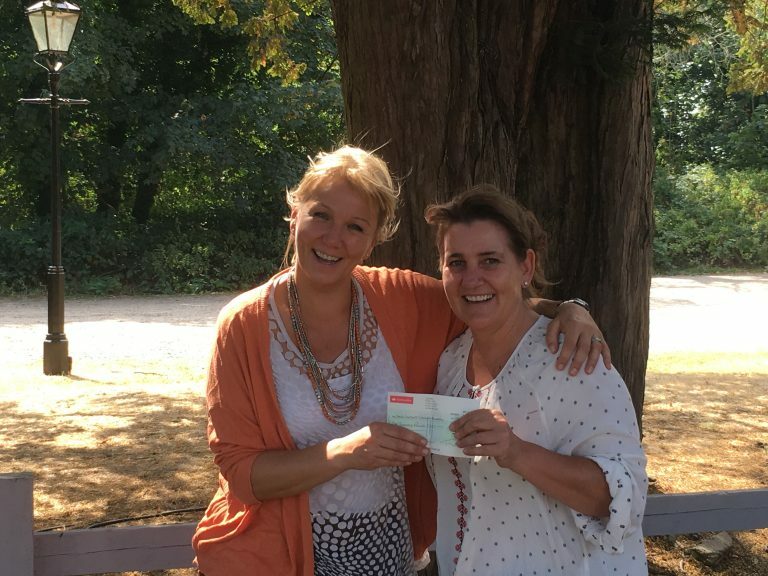 Innovation Visual have been supporting the charity since joining the 1% for the Planet movement in 2012 although Jo has been a personal supporter more nearly two decades. 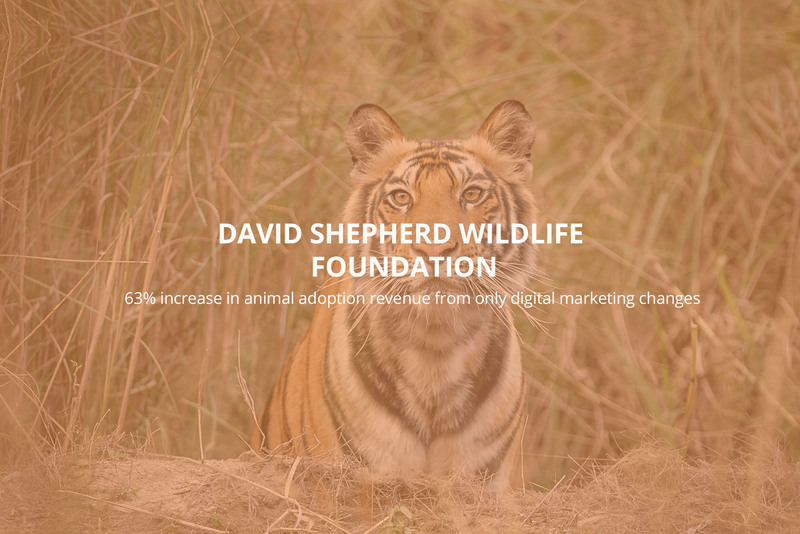 In addition to our financial donations we approached DSWF to donate our time and digital marketing expertise as we saw areas where the website could be improved. Their website had been built by another agency and while it looked appealing we could see weaknesses from a digital marketing perspective. The website’s primary objectives are fund raising, developing awareness and education. The site was not performing well in relation to fund raising so this is where we focused our efforts. Working with the client we ascertained the most effective use of our donated time would be analysis the current search activity, primarily paid search, and conversion optimisation. We also suggested that we include training and mentoring of staff in digital marketing to up-skill the internal team to allow them to do more on a day-to-day basis. Google had already provided DSWF with a Google Ads grant account and DSWF asked us to ensure the grant was being optimised. We immediately found that the set up of the account was poor and that grant money was being wasted on irrelevant search terms. We went through a thorough optimisation process of the Ads Grant account. There are some specific differences in how a grant account can be used and optimised and we used our extensive experience to squeeze the maximum value out of the money that Google was allocating to the account each month. A full restructuring of the account and becoming much more granular in the targeting transformed the Google Ads performance from simply driving some traffic to the website to driving full conversions in key areas primarily animal adoptions sales. We took the team from DSWF through the different purchase / customer journeys on the website and explained how they could be optimised. We then worked together to remove problems in the conversion flow and make it easier for visitors to complete key actions that would help the fundraising objectives. Through the PPC data analysis and keyword research, we provided DSWF with more targeted keyword terms and ongoing search strategy for them to implement. We worked with DSWF to improve their on-site content with the aim of improve their organic visibility. Training and guidance was given to the DSWF team to allow them to execute on the content strategy and improve the site content for both visitor engagement and organic search. The results of the changes to the Ad Grant account and the conversion rate optimisation saw conversion rate improve by more than 10 fold. For the charity this is translated into a leap in revenue from adoptions of 63% year on year and the number of new adoptions are growing at a rate of 50%, all without increasing their financial or time input into this area of fund raising. The engagement and visitor time on site has improved with the implementation of the content strategy and improving conversion / customer journey. Bounce rate for all traffic has fallen and average time on site has increased. 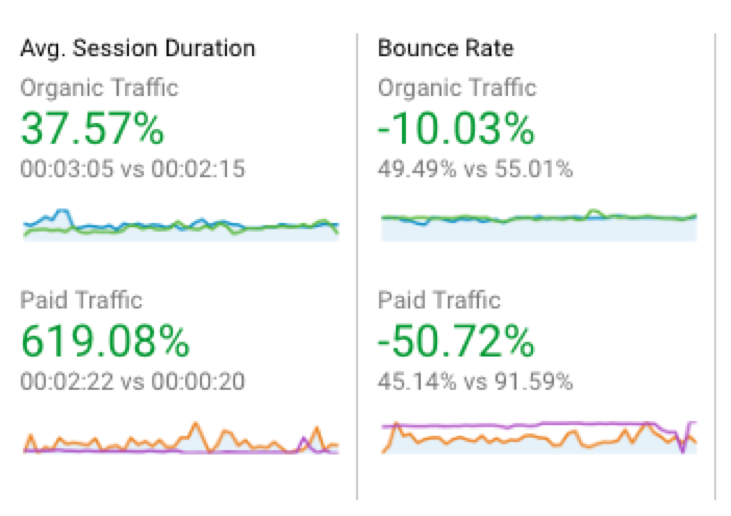 For the paid traffic the results are very dramatic with a 50% reduction in bounce rate and paid traffic’s average session duration up a whopping 619%. The digital marketing metrics make impressive reading but the outcome of the work is that thousands of pounds more have been raised to protect endangered animals from our work. We continue to work with DSWF on going and we would urge others who care about conservation to consider supporting their vital animal conservation work. "Innovation Visual continue to deliver measurable, highly effective and invaluable support to our Charity, not only through their expert skills but in sharing their knowledge and developing ours. They are welcoming, efficient and professional, with an exceptional office dog." PedalCover are the leading cycle and home content insurer. We helped them develop a content strategy that delivered more policy sales.